These days am missing this blog coz am busy with learning Flex. When i tried to connect with AMFPHP i can't find anything useful. Most of them were vague .Using the default data connectivity in Flash Builder am more confused and it's code looks complex . Atlast i found someone helpfull from adobe forum. When i tried to implement it , it shows nothing and missing some files. When i checked the PHP file, though am not good in PHP , i found there is also something also missing. I tried and searched and corrected the files. This is the PHP service class which needed to be placed in the /services folder both in AMFPHP1.9 and 2.0 versions. I don't know the reason but it worked for me. But i think in 1.9 the object passed to PHP function is an array and in 2.0 it's an object of stdClass. That's why this change. You have created the object in php where i created it in flash builder! 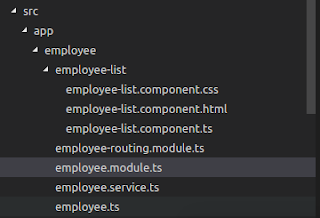 so i then import the value object into my component and the just use it like you did. First of all, i am just flash programmer and am not an expert in flex or PHP. And my lap got some problems and lost my project files and installations.. I will try your code ASAP and let you know the result.. In the mean time check your valusobject classes ,see it's in there. You need same valueobject class in PHP and Flex. And also check the version of amfphp. And also check the httpd log. Well i included a class in php for the clients and i thought that would work but it didn't :( and i checked the error.log and there was no errors that i could see and i checked that the class clients was in the valueObjects in flash builder which it was. Its really annoying as when i check in data/services and use test operation it does add the client to my database which would suggest to me that everything after flash builder is working :) but even through we included the class in the php script i cant see us using it to insert the client, but i added it anyway! The only difference between your object and mine is that im using GET and SET to get and set the variables!! i wonder if that is what's making the error!